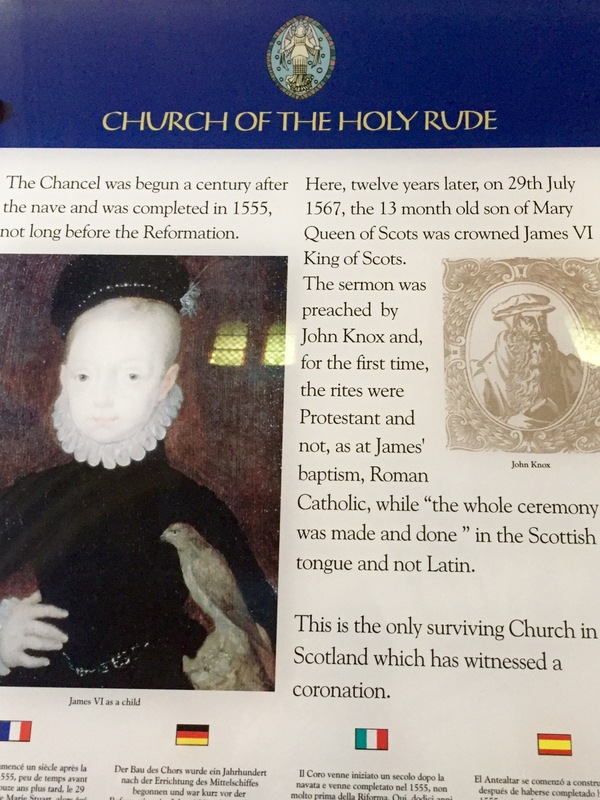 Where James VI crowned King of Scotland in 1567: first time service in English not Latin, and Protestant rite, not Roman Catholic, although he had been baptized with the Roman rite. 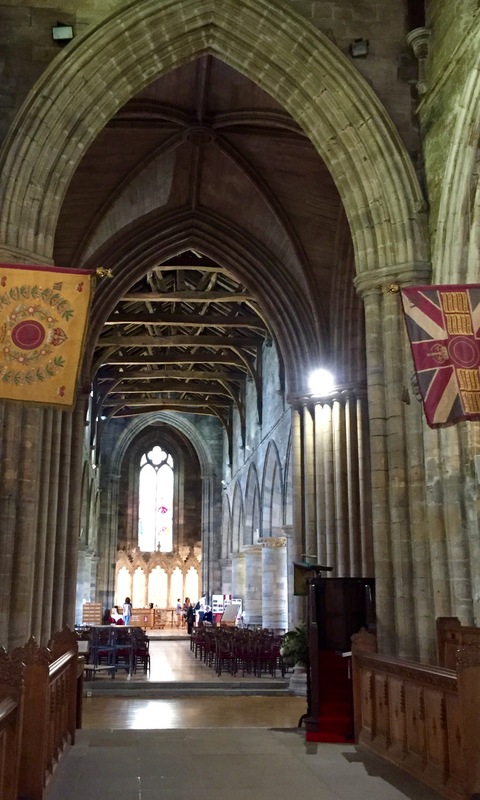 The church was founded in 1129, but destroyed by fire in 1405. It was rebuilt about 1414. 31 Jul	This entry was published on July 31, 2016 at 3:55 pm and is filed under Uncategorized. Bookmark the permalink. Follow any comments here with the RSS feed for this post.